Opportunities are carefully structured through the curriculum to nurture resilient, compassionate individuals who are intellectually curious and motivated to reach their potential. We have a rigorous program that is distinguished by a balanced approach of explicit teaching and inquiry. We are committed to experiential learning that provides hands on activities in real world situations, as it both motivates and promotes meaning for students. Technology is integrated in all we do. To support our students in their learning, we also run a 1:1 iPad program throughout our Junior Schools. Students learn how to harness this technology as a tool and how to behave online in a safe, responsible and ethical way. Library, Languages, Art, Music and Physical Education are important parts of the program, and are all taught by specialist teachers in purpose-built facilities. Learning is also fun at Carey — for the children and their teachers — and extends beyond the boundaries of the School to regular excursions and activities that explore the wider world. Community Service is an important part of life in the Junior Schools, as it is in other sections of the School. Students regularly visit nursing homes and other organisations where they can bring pleasure and friendship. Collections of books, computer equipment and other valuable learning materials have improved the learning experience for a community far less well-resourced than our own, through a relationship with an Aboriginal community at Robinson River in the Northern Territory. This on-going relationship, including a series of very successful reciprocal visits, has yielded vital understanding of Australia’s Indigenous people. Many House activities focus on community service. These also provide a structure for intra-school sporting and other competitions and foster a sense of belonging to a group that includes children across age groups. 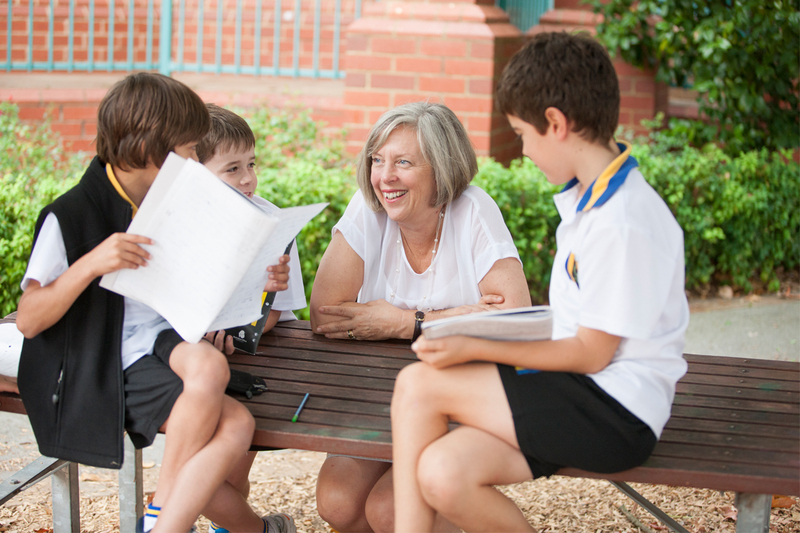 A House-based ‘buddy’ system allows Year 6 students to support and encourage Prep students as they begin their journey through the Junior School. A major musical theatre production is presented biennially, making use of the state-of-the-art theatre facilities in our magnificent Memorial Great Hall at Kew. Concerts throughout the year present the talents of instrumental and choral groups, some of which are offered as optional co-curricular activities. String orchestras and bands engage children from as early as Year 2, or even from Kindergarten. A formal transition program for both Donvale and Kew, introduces Year 6 students to life in Middle School and supports them as they embark on the next important stage in their education.